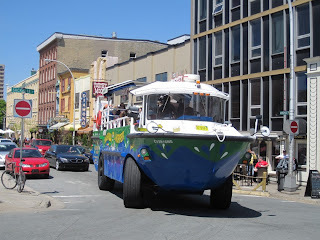 When I was in Toronto this summer I had planned to go an amphibious vehicle tour but I ran out of time; naturally then, it was a pleasant surprise when I found out Halifax also had a similar tour. Unfortunately though, while I now had the time, I did not have the money. 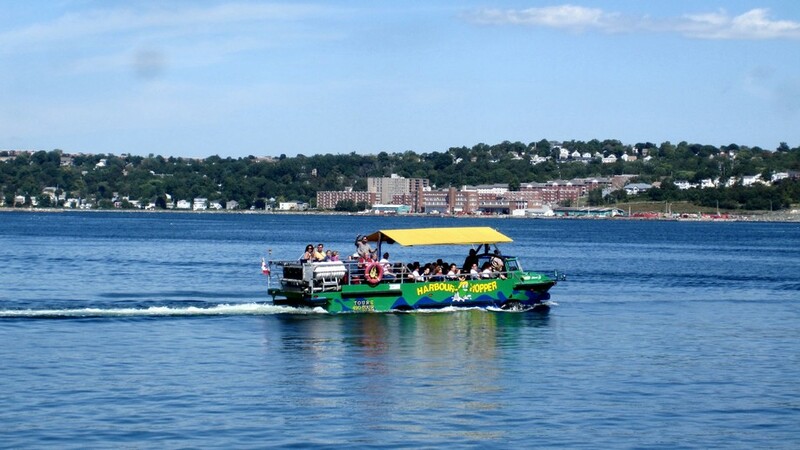 Thankfully a friend of mine from my church, and a fellow EPDTN reader, offered to treat me to a ride on the Harbour Hopper this last Sunday, and I'm delighted to say that I had a blast. 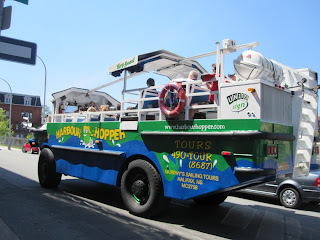 The Harbour Hopper Tour "bus" is a actually a refitted Vietnam War-era Lark V. The Lark V was an amphibious transport vehicle designed to carry up to five-tons worth of troops from the supply ships anchored off land into the military bases in the jungles of Vietnam, often over 1.5 miles away. Each Lark V/Harbour Hopper weighs 19 000 lbs, has no suspension, and sounds like two dump trucks trying to win a "make the most noise" competition. 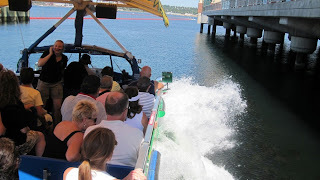 None of that matters though, when you get to splash into the Harbour. 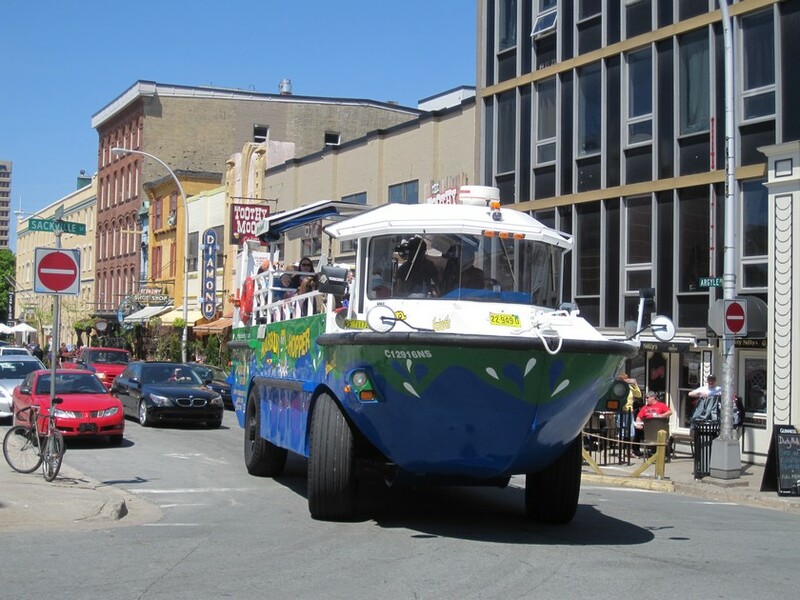 The tour goes past all of the standard Halifax points of interest, many of which I've mentioned before on this blog, like Spring Garden Road, the Citadel, and the Grand Parade, but it's the lively and informative commentary by the guides that really makes the trip fun. I sat at the back of the Hopper, near the engine (engines?) 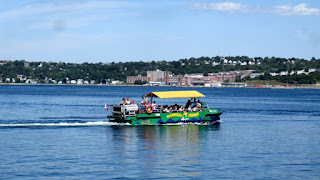 and so could barely hear, but despite all the racket I can say it was easily one of the most exciting things I've done in Halifax since attending the Royal Nova Scotia International Tattoo.